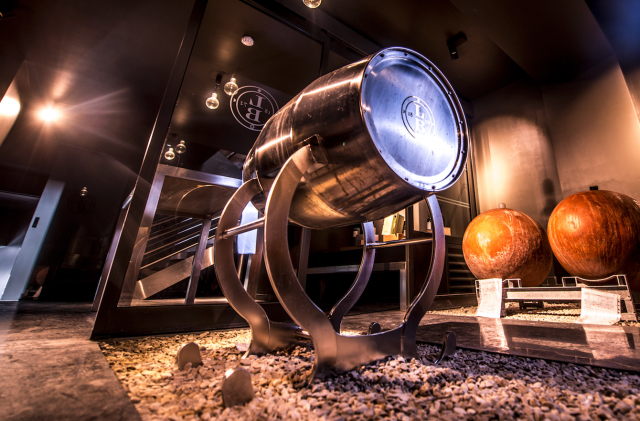 In two years from now, Champagne Leclerc Briant will launch the world’s first ever fizz – or indeed any drink – that has been fermented and aged in a gold barrel. Containing wine from the 2016 harvest in Champagne, Hervé Jestin – who is head winemaker for Leclerc Briant – told the drinks business at a dinner in London last month that the gold-aged fizz would hit the market in 2021. 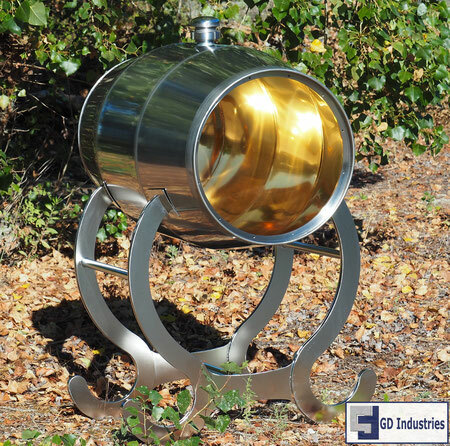 The barrel, which has been specially made for Leclerc Briant by GD Industries, holds 228 litres of wine, and is made of stainless steel lined with 24-carat gold, applied using electrolysis. Jestin said that the special vessel had been filled with wine from the brand’s La Croisette vineyard, which is Leclerc Briant’s 0.6 hectare parcel of Chardonnay vines behind the producer’s winery in Epernay. Like all Leclerc Briant’s vineyards, the plot is farmed according to the principles of biodynamic viticulture, although La Croisette is particularly prized because synthetic chemicals have never been applied to the site. While the producer owns 14 hectares of vines, with a production of around 150-200,000 bottles annually, Leclerc Briant also buys grapes from growers across Champagne. Because these must be farmed organically, Leclerc Briant is Champagne’s only 100% organic négociant, according to Jestin – rather than purely biodynamic. Explaining the reason for trialling a gold-coated barrel – which he admitted was “very expensive” – he said it was due to the metal’s unique solar properties. Commenting that there is “a resonance between solar energy and the wine”, he told db that the use of gold would, he believes, “increase the level of solar activity during the first fermentation”. He also recorded that “gold makes a connection with cosmic activity” – an important part of biodynamic principles – while noting that the wine stored in the gold-coated barrel was “completely different” to those from the same plot that had been fermented and aged in other types of vessel. 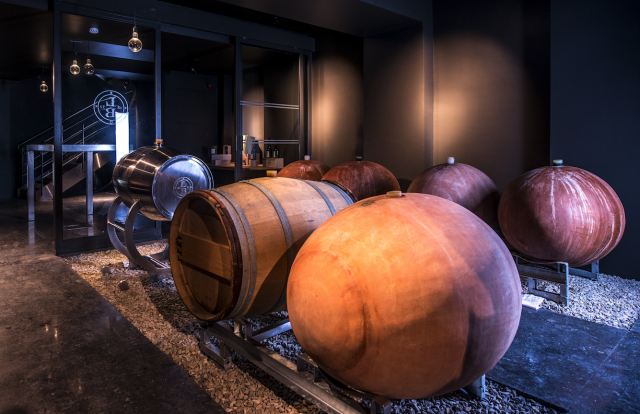 Indeed, he is also trialling fermentations using grapes from La Croisette in oak barrels along with egg-shaped vessels made of terracotta. Outside the wine industry, gold is renowned for its special optical properties, and hence the material’s use in satellites, cryogenics and solar cells. However, the metal’s use in winemaking is a first, and was treated with a certain scepticism by db, which struggled to understand how the gold would affect the fermentation, other than providing an inert and impermeable container for the process. Jestin said that he couldn’t fully account for why gold should improve the wine, but said that the gold-coated barrel, which he has patented, was highly effective. “People might think that such experimentation is stupid, but by chance we have a crazy idea that appears to be making a powerful improvement to the process,” he said. Meanwhile, speaking more generally about biodynamics – which is a form of organic agriculture based on the ideas of the Austrian philosopher, Rudolph Steiner, and sees producers plant, fertilise and harvest according to lunar and cosmic cycles – he said that it may comprise seemingly strange methods, but produces brilliant results. “We are here to make a great wine, and for that you must experiment, and try to understand how nature works, and we have found that biodynamics is very interesting, and we are not alone: for example, Château Latour, Ausone, Palmer have moved to biodynamics, and Roederer now have more than 200ha farmed this way,” he said. Although Leclerc Briant is the first producer to employ gold in its winemaking vessels, it is not the only winery to create barrels out of an extremely expensive inert material. As reported by db last month, glassmaker Lalique has created an exact replica of a 225-litre barrique made of crystal and filled it with Sauternes to celebrate the 400th anniversary of Château Lafaurie-Peyraguey.